Beautiful ivory lace wedding dress. 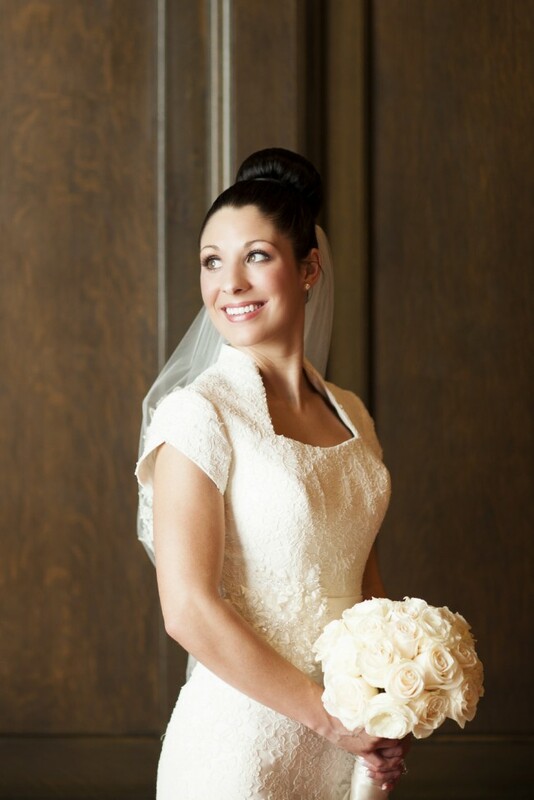 This mermaid fitted wedding dress has a sweetheart neckline and capped sleeves to create the perfect modest style. It has a satin waistband with Swarovski crystals. Delicate lace appliques make this dress absolutely breathtaking. The dress has a zipper back closure with covered buttons that complete this style. The veil is ivory and trimmed with beaded lace. The dress is a size 2 and has been professionally dry cleaned. The dress and veil are $550. The waistline was taken in to fit my rib cage. The dress was hemmed to floor length so that flat shoes could be worn (height 5'2"). Once you send a message, Randi can invite you to purchase the dress.